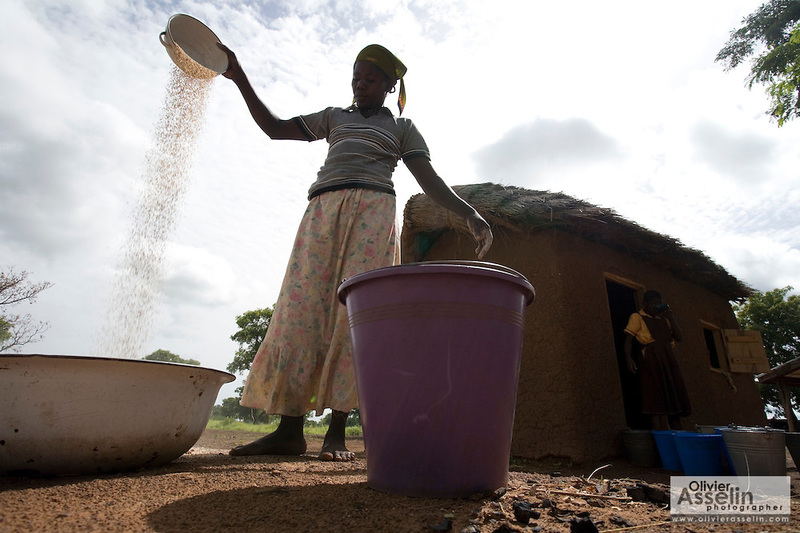 Mummuni Arishetu sorts sorghum as she prepares food for students at the Ying Anglican Primary School in the Savelugu-Nanton district, northern Ghana on Monday June 4, 2007. Through a partnership between parents and Catholic Relief Services (CRS) children who attend school are provided with a meal every day. According to one of the teachers, this alone is responsible for a 40 percent increase in attendance. CRS provides sorghum and oil, families provide tomatoes, fish and seasoning. Children also bring water and firewood from home.